These scones will definitely get you into the Holiday Spirit. 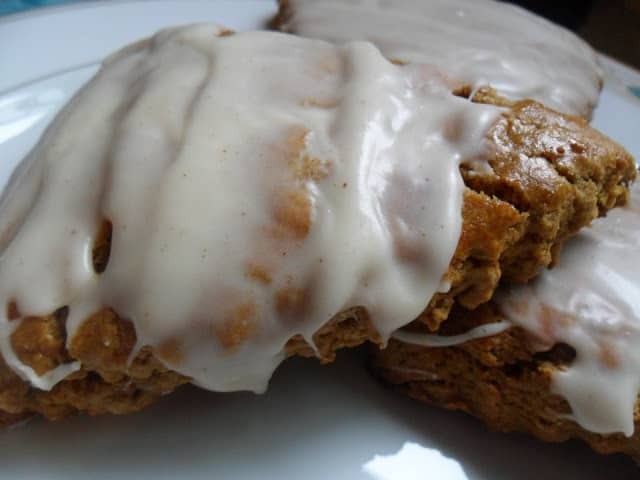 Gingerbread Scones with Maple Glaze are super fantastic. One whiff of these scrumptious scones baking and you will definitely get into the holiday spirit. They smell exactly like gingerbread cookies when baking. 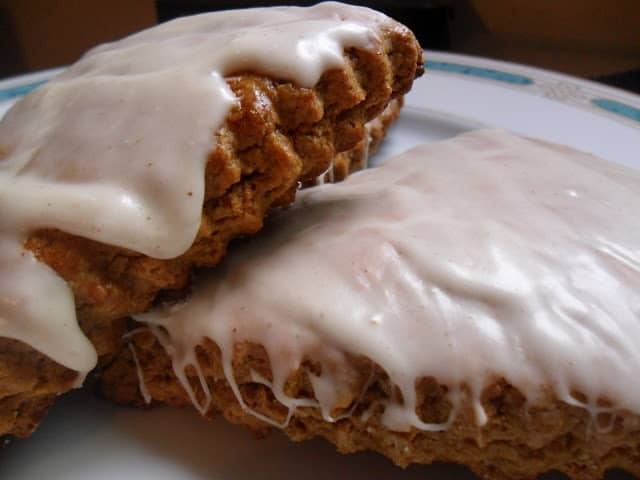 Gingerbread scones have a deliciously warm taste. 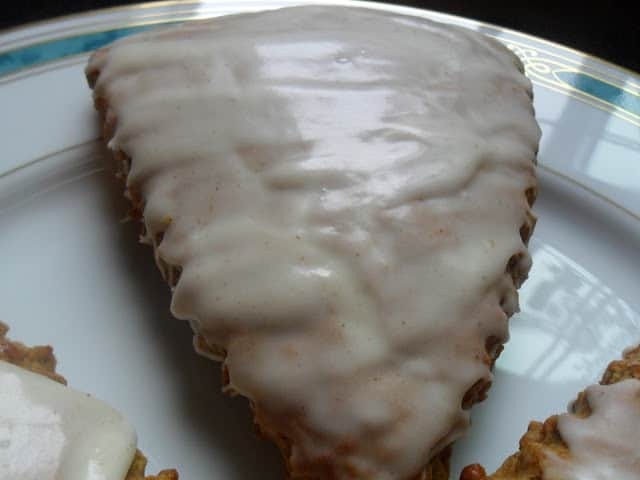 The maple glaze is the icing on the cake, so to speak. This recipe for maple glaze is fantastic. 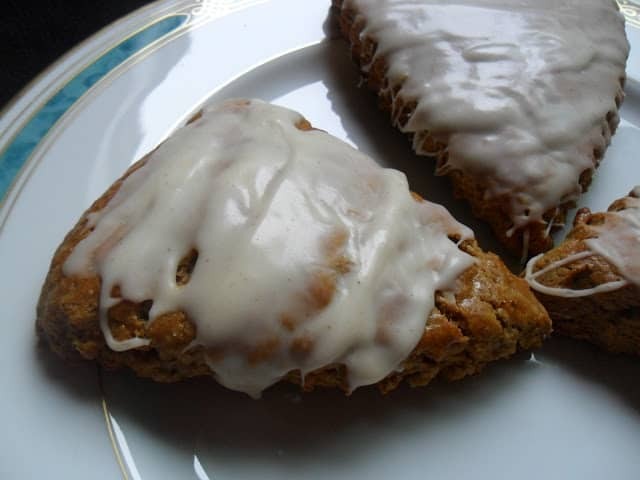 Not only is maple glaze perfect on these scones, you can also drizzle this maple glaze over cookies, cakes and anything else that needs some added sweetness and maple goodness. Maple glaze has only 3 ingredients, which makes it super easy to make and super delicious. When making maple glaze, use 100% pure maple syrup. Only the real deal. In fact, always use pure maple syrup, the other stuff is just corn syrup and sugar. Living in Wisconsin, we have access to 100% pure maple syrup. In the spring, when the sap is running, we’re able to attend any number of maple syrup festivals or stop the two Boy Scout Camps in our area and watch the process of making maple syrup. Bear Paw Scout Camp located just a few miles from us is one such camp. The month of March for us is when we take a country drive in our quest to purchase maple syrup. We like to ‘discover’ a new maple syrup farm each year. 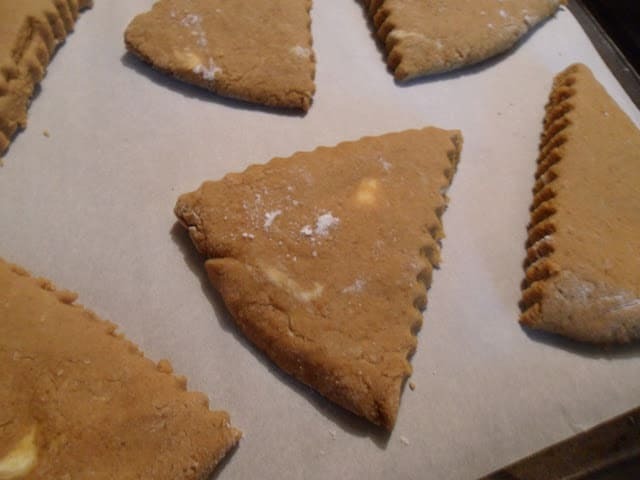 Bring the holidays into your home with the aroma of gingerbread scones. Combine flour, brown sugar, baking powder, ginger, baking soda, cinnamon, and salt. Using a pastry blender, cut in butter until mixture resembles coarse crumbs. Set aside. In a small bowl, combine egg yolk, molasses, and buttermilk. Add egg yolk mixture all at once to flour mixture, using a fork, stir just until moistened. Turn the dough onto a lightly floured surface, knead the dough 10 to 12 times or until smooth. 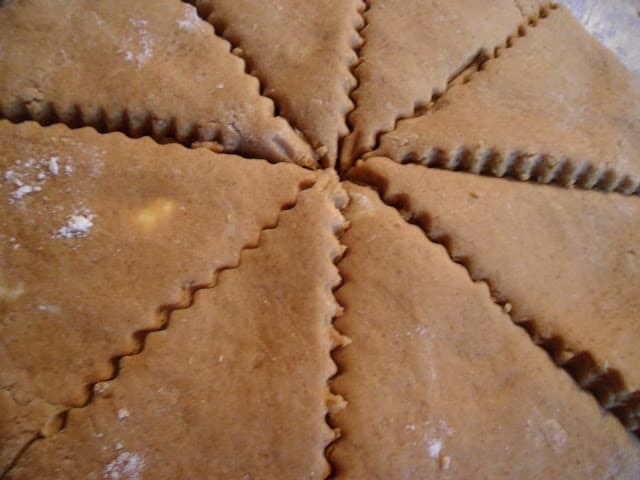 Pat dough into a 9 inch circle, cut into 8 triangles, place triangles, 1 inch apart on a baking sheet lined with parchment paper. Remove from baking sheet, cool slightly on a wire rack. Combine the glaze ingredients and stir together until reach desired consistency. Hungry for more scent-sational recipes?? Here is one you’re gonna love. Maple Shortbread with Maple Glaze. We like to use Grandma’s Molasses.